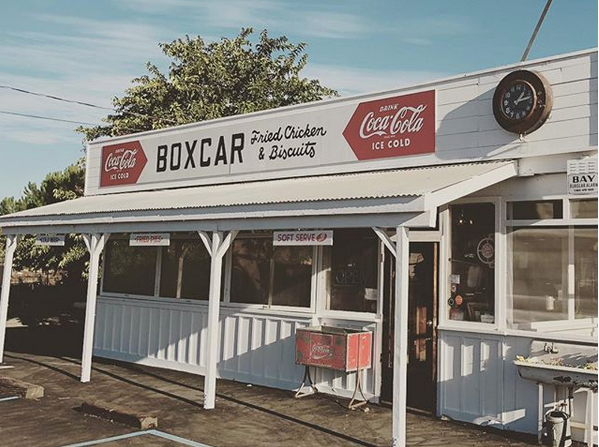 Warm buttermilk biscuits, made fresh daily with locally sourced ingredients, can be found at the new Boxcar Fried Chicken and Biscuits in Sonoma. 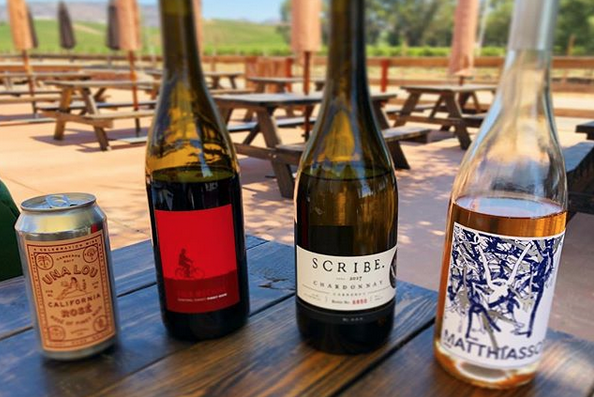 Here’s a tip: when pairing Sonoma County wines with fried chicken, think about sparkling wine. That’s because the acidity and effervescence helps balance the glorious oil, salt and fat in the crunchy, juicy feast. Plus, who doesn’t love sparkling wine? You can test this theory with the new Boxcar Fried Chicken and Biscuits, which recently opened in the former Fremont Diner space in Sonoma. The beloved Fremont closed in June, so owners Chad and Erika Harris could focus on new operations, including – ta-da! – Boxcar. Many of Boxcar’s dishes are favorites selected from the original, much longer Fremont menu, so really, it’s just an edited Fremont for us to enjoy, and an opportunity for the Harrises to enjoy more free time for family. And yes, there’s wine on the menu, even though the space is pretty much a roadside shack. 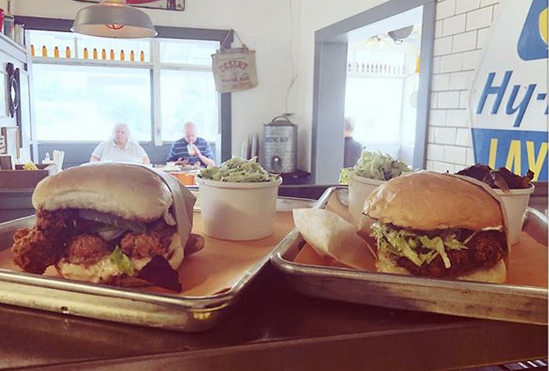 All we really need to know is this: Everything is made fresh daily with locally sourced ingredients, for signatures like fried half chickens in Nashville hot style with house pickles and white bread), and Country Gentleman mild style with buttermilk biscuit and honey butter. You can also get chicken as a sandwich with coleslaw and black pepper buttermilk sauce, or with pimento cheese, pickles and slaw, or on a biscuit with pepper jelly. Should you want to expand past poultry, the diner sends out other bites including deviled eggs with pickled mustard seeds, that Southern favorite of pimento cheese and crackers, fried oysters, hushpuppies, and salads like the Indian Summer of arugula, radicchio, Little Gem lettuce, corn, peppers and green beans in buttermilk dressing. Don’t forget the sides, either – collard greens, baked beans and such. 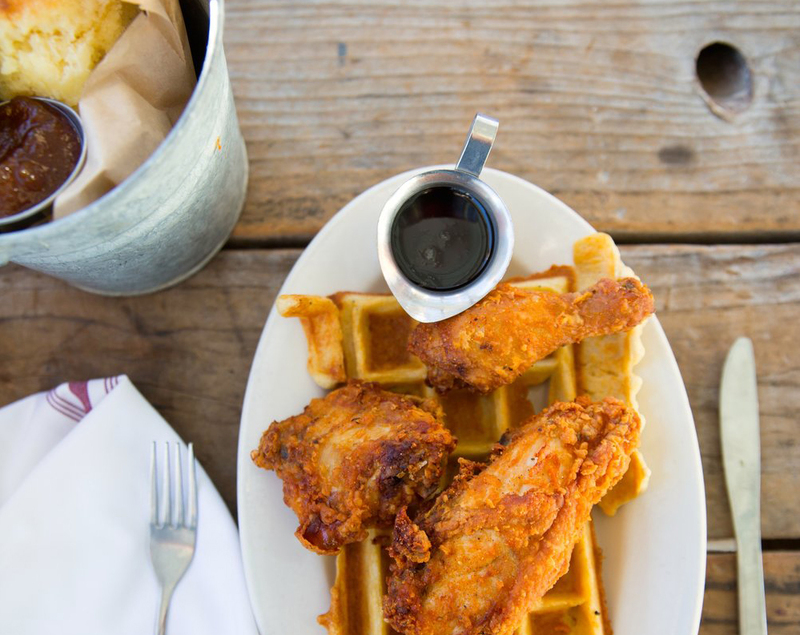 Then, on Saturday and Sundays, there are buttermilk waffles, which, naturally, go wonderfully with fried chicken. Fremont was always famous for its desserts, and happily, the Harrises have brought that back to us. Temptations include soft serve with sprinkles, milkshakes, floats, and the always spectacular fried pies. Details: 2698 Fremont Dr., Sonoma, 707-938-7370.